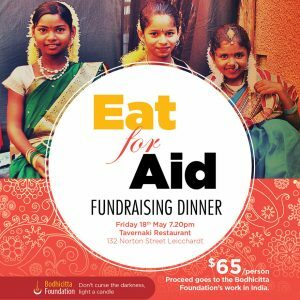 The Bodhicitta Foundation will be hosting a fundraising dinner at Tavernaki restaurant to raise money for our work in India. Come join us for a delicious Greek meal with laughs, entertainment, raffles, auctions and to you learn more out about the good work of the Bodhicitta Foundation. Enjoy mouth watering fresh and authentic Cyprian and Greek food with Vegetarian and Meat options. Be part of a change to make the world a better place and hear uplifting tales of how your contribution will fund our girls home and protect children from child marriage and human trafficking. Greek dips, Halloumi, Veg Moussaka, Stuffed Veges, Roast Lamb and more.